Prior to the opening of Edgemont Junior-Senior High School in 1955, the district only served students in grades K-10. Eleventh and twelfth grade students completed their schooling at either Bronxville or Scarsdale High School. The Junior-Senior High School was constructed in 1955 on seventy-five acres of land acquired by purchase and gifts during the previous two decades. 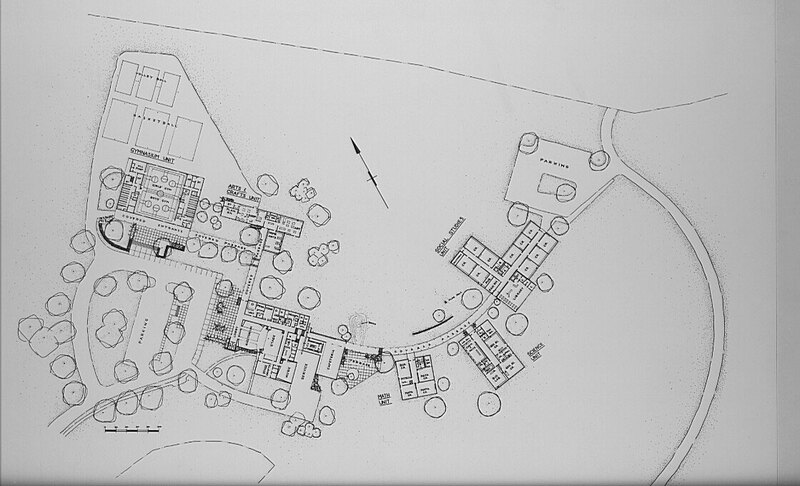 The original campus included six buildings arranged in a "California Campus" configuration around a central quad. 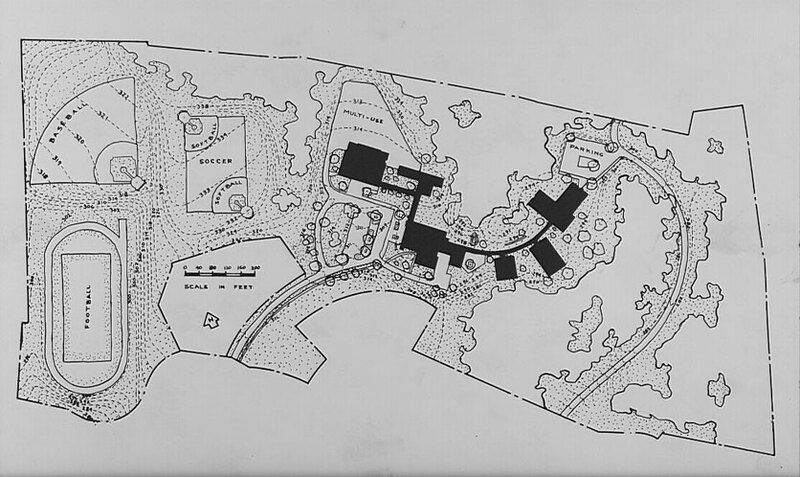 Since then, the physical plant has been expanded four times to include additional classrooms ("D" and "E" buildings, A-building expansion), a library/LGI, and an additional gymnasium. The first two photos are courtesy of Carol Simpson (Class of 1966), and the remainder of the photos are courtesy of Dylan Pyne (Class of 2008).